I would like to open this report with a welcome back to DJ. You’ve finally shed that offensive coordinator and done what I drafted you in the first round to do. 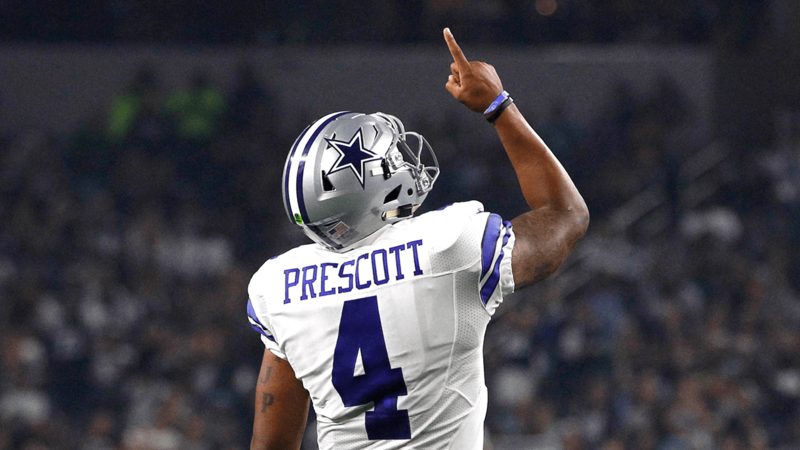 Dak is finally back! As it turns out, it’s a lot easier on a quarterback when you actually have a good receiver! Although the Dallas Cowboys receiving corp is by no means elite, the addition of Amari Cooper has proved to be wonderous for Dak’s production as he now have a go-to receiver that can get open quickly and open up space for the other weapons on the field. Dak reached his best completion percentage of the year with 72.2. He also managed to find the end zone for a TD pass. The Cowboys had a rocky start to the season, but I expect an offensive resurgence that will allow Dak to be a solid starter against favorable matchups. This is tricky because I don’t think Keenum will be worthless throughout the rest of the season but as of right now he is better off on your bench. While I don’t think the loss of Demaryius Thomas is going to cripple the offense thanks to rookie Courtland Sutton, I do think that facing the vaunting Chargers pass rush is going to end poorly for Keenum. It will be interesting to see how he fares coming off of a bye week, but with so many options at quarterback right now, he isn’t worth a spot in your lineup. The Jets have been struggling on offense as of late (understatement of the year), and Crowell hasn’t made much impact on the ground behind an atrocious offensive line. While he did manage to at least find the end zone this week, his week to week performance seems to depend completely on whether he is able to punch in a touchdown. With the Jets posting one of the worst red zone percentages in the league, that isn’t a bet worth taking. The Jets need to dramatically improve their blocking before their running game is going to become effective. 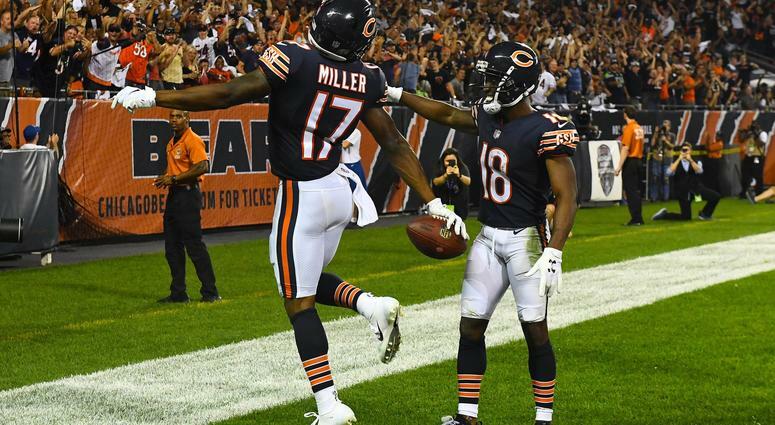 Rookie Anthony Miller has seen an uptick in targets over the last 4 weeks. He’s made the most of his targets over the last two games by catching 10 passes for 171 yards and a TD. Although his 24.4 yards per reception in Week 10 will be hard to duplicate, Miller has a modest 4 TDs in eight games. 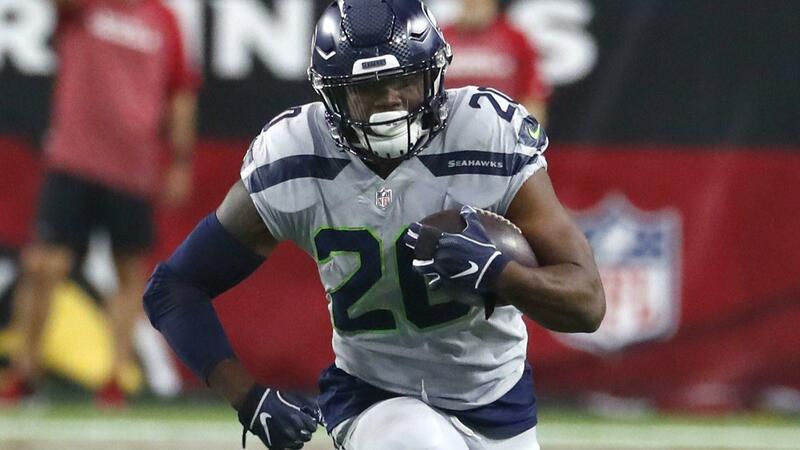 He has even been outpacing Taylor Gabriel in targets, pointing to a potential upgrade to the WR2 position on Chicago’s roster. With Mitch Trubisky’s renaissance this season, having the Bears number 2 receiver could bring much needed alleviation to your flex. This is painful. So many talented players have already been sidelined to injury. Kupp has been a tremendous fantasy asset so far this season and has carried any team with his consistent production. However the worst three letters in the NFL language have him sidelined until at least next season… ACL. Look to the Rams number 4 receiver Josh Reynolds to pick up part of his production. 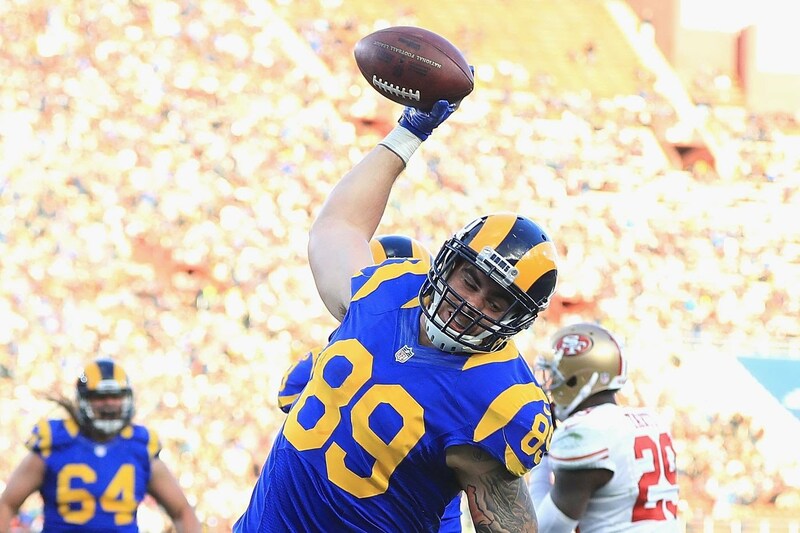 There is another alternative to picking up Josh Reynolds, and a wild card pick like this could prove to be godsend to your fantasy season. The Rams offense is not going to be stopped anytime soon, so what could Sean McVay do to keep it running smoothly following the loss of Cooper Kupp? Enter Tyler Higbee. The Rams have the most dominant running back in the NFL right now, so more TE heavy sets makes a lot of sense. Higbee will need to step up and take a share of the targets no longer aimed in Kupp’s direction. In addition, the Rams defense has not been as dominant as of late, so the offense is going to need to continue carrying the load if they want their momentum to roll into a playoff bye. Especially after the crucial loss to New Orleans, the Rams cannot afford to take their foot off the gas pedal. As much as I like Cameron Brate, it’s been clear that OJ Howard is the favorite TE target in Tampa. With a sub par running game, the Bucs rely too heavily on the passing game to play a lot of TE heavy sets on offense. Brate was never a very high volume TE, his draw has always been a fairly consistent TD rate. Lately however that appeal has been lost as he has failed to real in a TD in any of the last 4 games. It’s sad to seem him fade back to irrelevance with the lack of valuable TEs in the league right now, however it’s time for fantasy owners to move on. Carolina’s defense is definitely hit or miss, however I like them against the Lions. The loss of Golden Tate has taken a lot of the punch away from Stafford’s game, and the team is sliding downhill. Carolina needs to continue putting wins up in order to stay afloat in a stacked NFC. Look for their defense to step up against Matthew Stafford and Company.